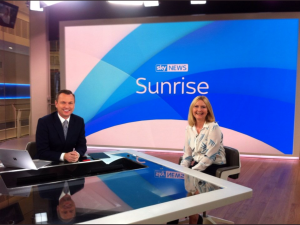 I was chatting on Sky News on Saturday morning about the ‘Side Hustle’. And if you’re scratching your head and wondering what on earth I’m talking about, well it’s not a new dance move, but a way to make some spare cash on the side. So no need to give up the day job, well not yet anyway! A spot of ‘Side Hustling’ means you can ‘dip your toe in the water’ when it comes to testing out your new business idea. And according to the folks at Go Daddy who are behind the research, they reckon one in five of us will be doing this over the next two years. Though a large number of us won’t be sharing our plans with our boss! And if you want to find out more, here’s the feature I wrote after the Sunrise slot on ways to be a successful Side Hustler!